While it is always recommended for an injured worker in Massachusetts to at least consult with a lawyer after being hurt on the job, in relatively simple work accident cases, an injured employee may not need an attorney. For example, in a lot of workers’ compensation cases, the insurance company may accept the claim and pay the injured worker the disability benefits he or she deserves as well as cover the cost of medical treatment. The injured worker may then recover from his or her injuries and return to work. These “simple” cases, however, sometimes become more complicated. Employers and their workers’ compensation insurers will sometimes minimize the injuries suffered on the job and the benefits being paid. In those situations, the injured worker may not receive the benefits he or she deserves for the injuries suffered at work. Additionally, during the payment without prejudice period, the insurer may reduce the benefits the injured worker is receiving from temporary total disability to partial disability before the injured worker is actually considered partially disabled. In other cases, the employer and insurance company may try to force an injured worker back to work before they are ready to return. When this happens, an injured employee should consider hiring a workers’ compensation attorney. An experienced lawyer will be able to protect an injured worker’s rights and be sure he or she receives the workers' compensation benefits they deserve. 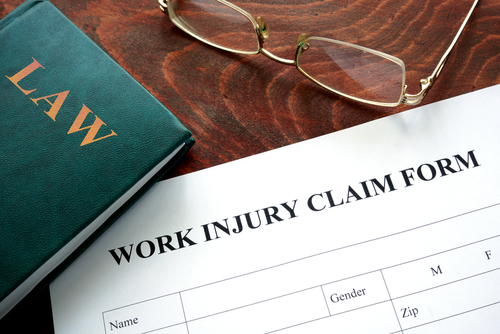 In work accident cases where a claim is denied outright and no benefits are being paid, the injured employee should hire a workers’ compensation attorney. The lawyer will be able to properly evaluate the accident and injuries, explain the workers' compensation process in Massachusetts and file a claim for for the benefits the injured worker deserves. Speak With An Experienced Workers' Compensation Attorney in Massachusetts? If you have been seriously injured in a work-related accident in Massachusetts, you may be entitled to workers' compensation benefits. The lawyers at the law office of Mahaney & Pappas, LLP specialize specifically on accident and injury cases and are here to help. Our office is centrally located in Framingham, Massachusetts that serves victims of work accidents in Boston, greater Boston, Worcester and all other surrounding towns. Whether you need an attorney to represent you and your family or just have a specific question, feel free to contact us. We offer a no-obligation complimentary case evaluation. Please call us at (508) 879-3500 or contact us online to set up a time to speak with one of our experienced attorneys.